The Best Novel of All Time? It's an impossible statement of course, but while we wait for the big titles of the fall to hit, and everyone is talking about voting on a bigger scale, we thought it would be a good opportunity to argue over some truly great books. We scoured "Best of" lists from the past 10 years, and compiled a top 15 of incredible reads (we chose the ones that appeared the most number of times across the lists), with the final slot filled by our readers. Our only rules were that we were judging books either written in, or widely translated into the English language, and no more than one novel per author. A randomizing magic hat did the rest of the work. So here is our first round of voting. The below graphic might be a little hard to see - click here for a larger version - but the voting should be pretty straightforward underneath. Votes close at 9am EST on Wednesday. There are some HORRIBLE choices to make in this first round. "Gatsby" or "Mockingbird"? "Solomon" or "Bovary"? "Emma" or "Solitude"? You have to choose! Why? Because we say so. 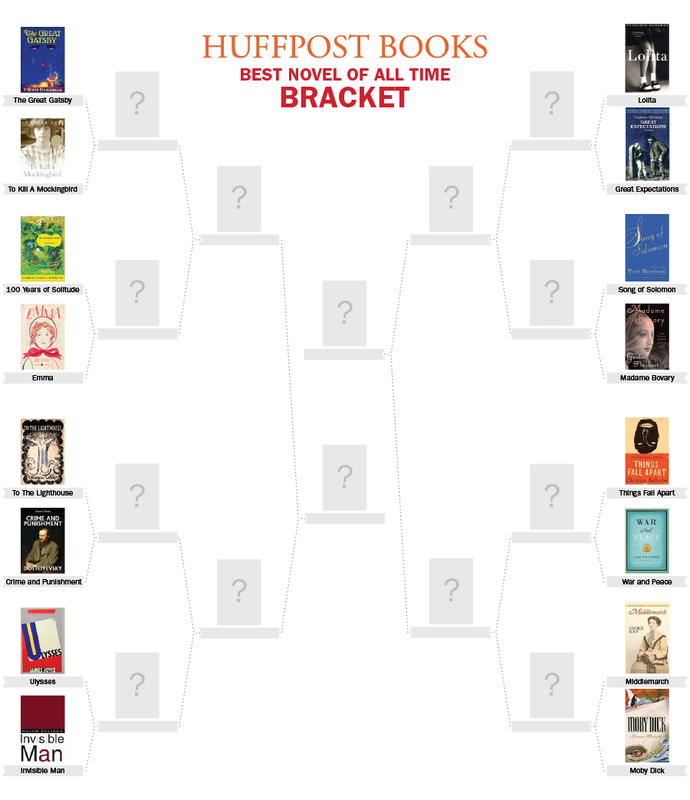 There can be only one winner, so help decide who makes it through to the next round of entirely spurious Novel Madness. Arguments and verbal wrestling may commence in the comments... now. Publisher: Grove Press, $27.00 Date: October 2, 2012 Fiction Summary: The famous chronicler of Native American life, best known for his placement among banned books lists, publishes new and old stories.